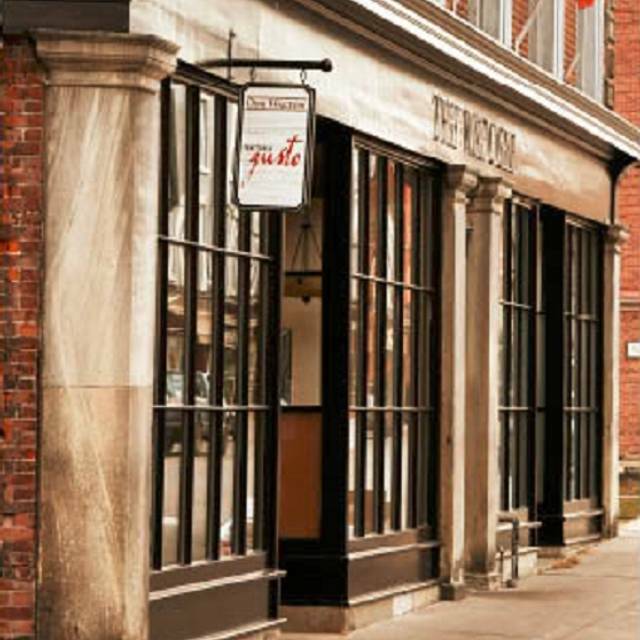 Online reservations at Trattoria Gusto can only be made directly on their website. lovely attentive waitress..sorry forgot her name. 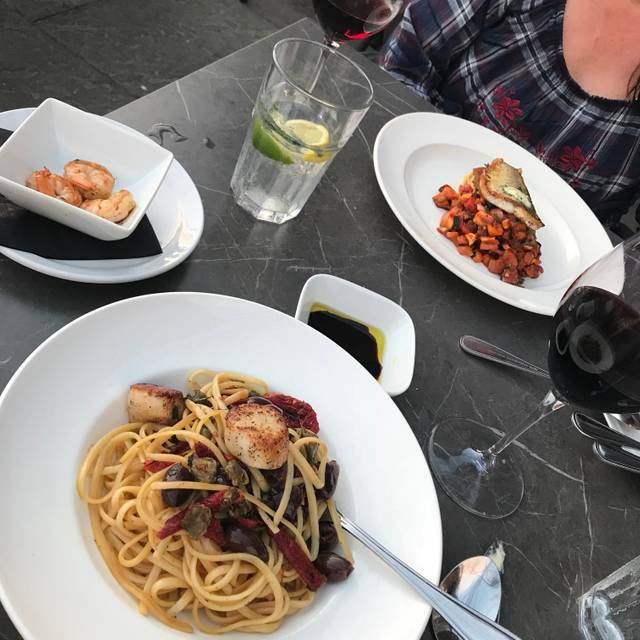 We have been to Trattoria Gusto many times for lunch with family. 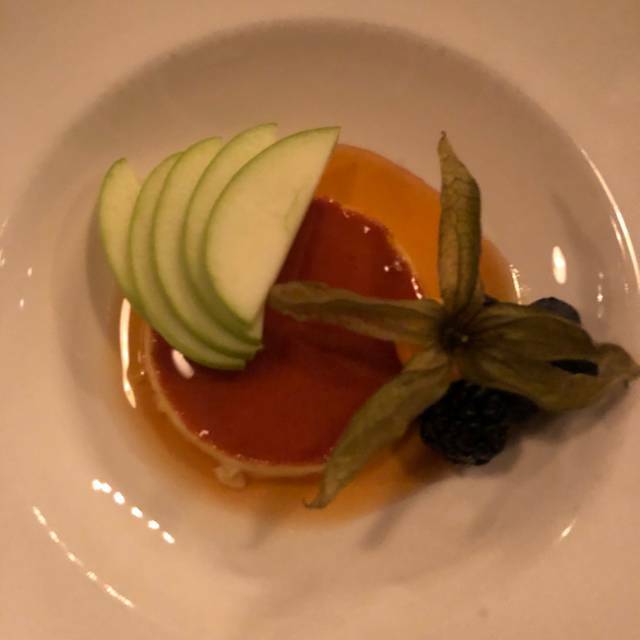 The Staff are always welcoming and helpful, and the chef easily accommodates our requests for vegan food. The menu changes enough that the meals have not been predictable - there are always slight alterations and tweaks that result in an even better dining experience, such as installing a pizza oven! 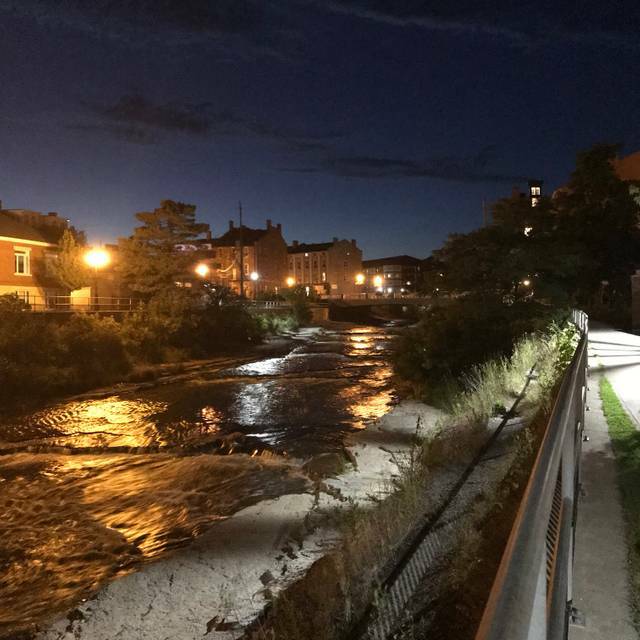 In the summer, you can sit outside on the patio, overlooking the river and enjoy the scenic view. If you want to experience a special meal with family or friends in Port Hope, Trattoria Gusto will not disappoint. Lunch was good but went for brunch at 1:00. Unfortunately no brunch items were left so had to settle for lunch. Trattoria Gusto never disappoints. The food is always excellent and the service is never rushed or inattentive. Family lunch with four. We had pizza, pasta, quiche and a chicken parm sandwich with salad. Everything was delicious! Great customer service! Very nice lunch we had on the weekend. Very accommodating staff for events. Food was great. Highly recommend! Lovely place to dine with family. Great half way point between Belleville and Toronto. Too many tables crammed into the restaurant caused it to be incredibly loud. We couldn't even talk to the person beside us or hear the waitress. The waitress was lovely though and did a great job. Most meals were good but my pizza dough was kind of raw. I took it home and cooked it the rest of the way which made it better, but definitely not worth the price. We were just visiting Port Hope. My sister, who lives there had recommended this restaurant as it was her favourite so maybe it was just an off night? We had great service and such a great meal. Our server was very attentive and pleasant. The meals were cooked perfectly and they were nice and hot at the table. I have been to this restaurant seven or eight times for Sunday brunch; always for Sunday brunch with old friends. It is a convenient location - half way from Toronto; half way in from Prince Edward County. The restaurant of choice when meeting spot. We are never rushed. The atmosphere is quiet and we can talk uninterrupted for two hours. Yesterday I really enjoyed the Duck confit eggs benedict. Very tasty. It came with a side beet salad with greens, walnuts, slices of ripe pear and goats cheese. A perfect meal. Very reasonably priced. This restaurant is a gem! The food is excellent and I suggest the chef special. Standard items on the menu include chicken Parmigiana which my fiancee adores. The service is beyond expectation everytime. The wine selection is also extraordinary including local county wineries including Huff and Sandbanks. This is fine dining with good portion sizes and a diverse menu. Customers should be made aware at time of booking that menu was limited on Valentines Day. Really wasn’t able to eat 3 courses. Wanted just a salad which was on menu but not without main and dessert. Otherwise it was good. We had a awesome server.. and chef .. this is a wonderful place for a girls night out or lunch out.. Also can be a very romantic place.. Great in summer on outdoor patio. Top-notch service, very good food, good value. TG is one of our area favourites. My husband ordered the steak dinner & my sister the fish both of which they enjoyed. I ordered the veal Marsala, I was not impressed, it had no taste of a Marsala sauce & the dish was overpowered by the taste of roasted red peppers which I’m sure came from a jar & granulated garlic. I will recommend the restaurant because I believe in second chances & two out of the three meals were good. Hopefully this feedback will reach the chef & he/she may want to rethink this particular dish. My wife’s birthday. They set up a special table dir us with view of the river. Food and service were really excellent. We have eaten at Trattoria Gusto a number of times, and we always enjoy the experience. They start the meal with a piece of the best bread ever and we have always had excellent service. My husband and I are vegan, and, while the options are limited, we still enjoy our meals. It was delicious. Our waiter was funny and attentive. Large enough menu for any pasta lover. Very good food, but at the New Years was overpriced at $65. And the vanilla cake was somewhat dry, that is why there are four stars rather than five. We went with another couple a few nights ago. Food was fantastic! Beautiful ambiance in the Waddell hotel. Would definitely go again. Fine dining, but not over the top pretentious. Food was fantastic. Pickerel dinner cooked perfectly. Beet salad was amazing as always and the pear/parsnip soup sounds like a weird combo but it works. Service was fabulous as always. Come here every year to eat before going to the Capital Theatre with my husband and my mom and Trattoria Gusto will always be our first choice. Really enjoyed our food & location was perfect for attending a theatre show at the Capital. Went here for dinner prior to going to the Capitol theatre with a group of eight. Most ate from the theatre special menu which was excellent. We were given excellent service, thank you Dave! Great food and service. On the loud side, but there were Xmas parties happening at the same time. Disappointed not to find the veal scaloppini limone as I had seen on website (must have been outdated). Chef said he could make it but have never tasted anything so awful. Veal was over cooked and seem fried as was everything else on the plate - dripping with oil. My husbands pickerel was also oil saturated, terrible. Also didn’t have a couple of the appetizers and their bruschetta was served on soft bread ? Have previously enjoyed Puttanesca for lunch on the patio but again overhanded with the oil. Chef should learn to let the food speak for itself. Staff, food and atmosphere were all perfect. The servers were lovely and quite attentive. Drinks were great! Food was served promptly and was prepared well. Once a large group left, the noise level was just right. Will definitely go back again soon. There was an extremely loud party happening in the room we were seated, lots of drinking. When we asked our server to be moved to the quieter, front room, she was very accommodating and we were moved quickly. Much appreciated. It was our first visit, our waiter was witty and friendly. The food was delicious. I attended this past Saturday with my husband, and baby girl. We had such a fantastic time. Our waitress was so kind and sweet and the food was absolutely delicious (as always.) I ordered the chicken parm and it did not disappoint. We will definitely be coming back. The Puttanesca is marvellous. 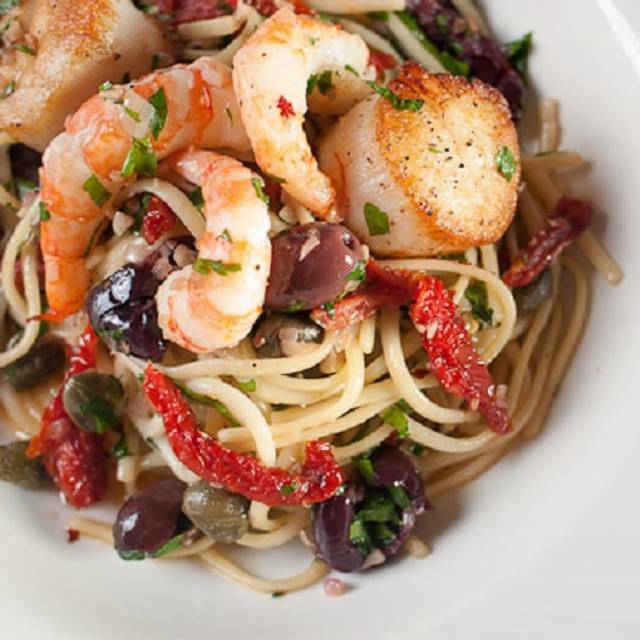 Delectable scallops, fresh linguine and just the right level of garlic and oil. our dining experience was our 30th wedding anniversary. wonderful ambience, our waiter David was fantastic, very informative about local history. food was delicious, we had the tuna tataki , primevera and the arrabiata pastas, all delicious and the wine was lovely. A favourite of ours..you must try the brussel sprouts! The restaurant was recommended by a neighbour and it was our first time. When we arrived they were not able to find our reservation record through OpenTable however they were very accommodating in finding us a table (we did show our confirmed reservation on our phone app). The first impression was a warm and lively atmosphere fueled by the pre-theatre crowd. Our server was friendly and very knowledgeable in answering our questions about the menu options. We started with the brussel sprouts appetizer that was uniquely prepared and delicious (recommendation from our neighbour). We both decided to order pasta and I had a Penne Alfredo with added Scallops while my wife had the Garden Rose. Both dishes were superb with great flavour blends and perfectly cooked. Based on our first experience, this is now our top choice in the Port Hope area and we will definitely be back. Ordered a Guinness beer and it was hslf full...not good value...service very slow. Our server was fabulous from her initial greeting to our final dismissal! The food arrived in a very timely fashion, and was delicious!